In recent years, there has been tons of commentary about the effect of technology, social media, constant connection to the web, and specifically the effects these things have had on society. In media, films like The Social Network and television series like Silicon Valley and Mr. Robot have successfully utilized these discussions to create entertaining stories with thoughtful subtexts. 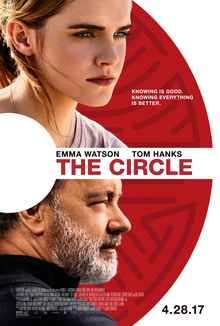 The Circle, a film based on Dave Egger's novel of the same name, attempts to add a new perspective to this discussion. Fresh off of her smash performance in Disney's live-action Beauty and the Beast, Emma Watson finds herself in a role that is grounded in reality. She plays Mae Holland, a twenty-something-year-old who has an art degree that she's not using. Instead, she works grueling phone bank temp jobs that barely pay her enough to get by on. At home, her parents are facing the crushing financial and emotional effects of fighting an incurable disease. Bill Paxton, in his final role on film, plays Mae's father and shines as one of the film's most sympathetic characters. Mae's luck changes when her friend Annie sets her up with an interview at the tech giant The Circle. The Circle is the epitome of all tech companies. Imagine one company that combines the innovative technologies of an Apple or Tesla with the social media relevance of Facebook and Twitter, and you've scratched the surface of what The Circle is. Lead by a charismatic figurehead Eamon Bailey (Tom Hanks) and fueled by the business acumen of co-founder Tom Stenton (Patton Oswalt), The Circle has become the wealthiest and most influential company in the world. The company prides itself of making information readily available to all people at all times. They believe that the way to improve society is to make citizens more connected to each other and ever accountable for their actions. When Mae begins her career with the company as a customer service representative, she is easily drawn into the fast-paced and ever connected community that they provide. More so, The Circle quickly adds her ailing father to their health plan, alleviating all of their financial burdens. As she rises in success and popularity in this new community, the promises of her future seem limitless. But cracks in this euphoria soon begin to surface. If one company holds the information that fuels the entire world, who holds that company accountable? Just like Watson's character, I was immediately drawn into the slick and idyllic world that The Circle presents. The film does a great job of building The Circle into a believable entity. It truly feels like an amalgamation of all the top tech companies that we see today. The elegance of this world building, however, is betrayed by a narrative that can't seem to decide what it wants to be. In attempting to comment on privacy, life/work balance, accountability in business, etc, The Circle quickly devolves into a clunky story that defies logic. The way that Watson's character in particular reacts to specific events seems more to adhere to a predetermined narrative arc than to accurately reflect the emotions of the character. To be clear, I enjoyed the movie as a whole, but I wish that the story, especially the ending, lived up to the promising premise that is truly worth exploring. I recently backpacked across Europe with a group of sorority girls. One night, our conversations turned to reading. "You have to read The Selection," they proclaimed. They promised that it was an addictive tale of love in a dystopian future. I usually stay far away from this kind of young adult fare, but I trusted these girls' opinions. A few weeks later I was back in the US and ready to read something new. As I begrudgingly began listening to the audiobook of The Selection (I borrowed the book from my library because I wasn't about to spend money on it) I easily became entranced by the story. America Singer lives in a world that is divided by castes. She is a caste five who is secretly in love with Aspen who is a caste below her. The prince of their world, Maxon, has reached the age where he is prepared to find a wife. This is achieved by a process called The Selection. In true Hunger Games fashion, girls from the various castes are allowed to submit their names to be drawn at random for the possibility to become the princess. America's heart belongs to Aspen, but she knows that her participation in the selection could lead to financial stability for her family and even see her move into a higher caste. Reluctantly, America submits her name into the drawing, and as luck would have it, she is chosen to be one of the thirty-five young ladies to take part in the contest. Despite all of my hesitation about reading The Selection, I couldn't help but be sucked into the story. I hung onto every word of this book. 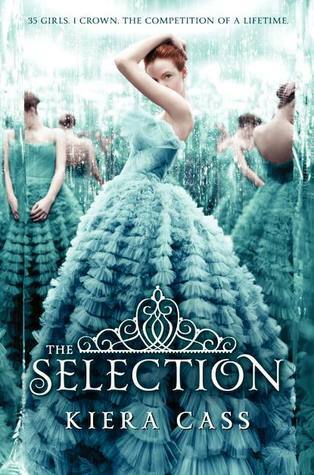 The Selection never aims for the kind of world building or complexity of similar books in the genre, but I don't really think that is the goal of it. Author Kiera Cass has written a novel that mimics the best aspects of reality television to maximum effect. The book is at times almost laughably silly (I mean this girl's name is America Singer! ), but it easily captures the soap opera drama of all the best "must watch" television shows. Against my better judgement, I fell in love with this rags to riches story. My only complaint is that the book ends rather abruptly with the promise of the drama to continue in book two. You can bet that I'll be listening to that one soon! "Today I will be my best self, the person I'm capable of being. Today will be different." 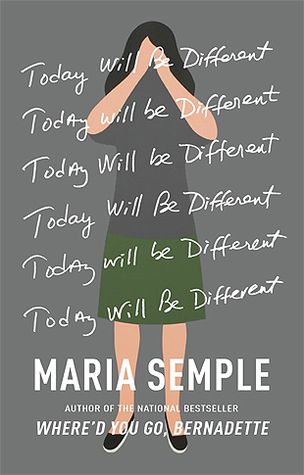 Like many other readers, I was enamored with Maria Semple's novel Where'd You Go, Bernadette. I loved everything about Bernadette. The quirky observations, humor, and characters all had me excited to read Semple's latest Today Will Be Different. Following up a critical and commercial success is a daunting task, but I was hopeful that Semple would be up for the challenge. The book peeks into a day in the life of Eleanor Flood. Lately her life has been in shambles. She is eight years past due on delivering her graphic memoir to her publisher. She has a strained relationship with her family. She doesn't really fit in with the other parents at her son Timby's school. The list goes on and on, but today she has decided to take a step in the right direction. She is determined to slowly rectify the wrongs in her life. Unfortunately, life has other plans. Timby decides to fake an illness and school, so Eleanor has to rush from her poetry lesson to pick him up. When she calls her husband Joe's office, she is informed that he is out on vacation. This is news to her! To make matters worse, a chance encounter with a former employee brings to light secrets from her past that Eleanor has tried to ignore. Clearly, she is in for an uphill climb. Today Will Be Different ironically ends up being more of the same. Semple's trademark humor and quirkiness is present, but does not have a fully formed story to lend itself to. Eleanor is essentially Bernadette reincarnated, but is never as endearing as the original character. In fact, her persistent complaints about mundane things became pretty annoying as the book went on. To Semple's credit, the flashbacks about Eleanor's strained relationship with her sister were really interesting. That being said, I almost feel like the book would have benefited from being set in the past rather than the present day. Today Will Be Different is a quick read, but it offers little substance to readers expecting greatness from an author who has shown she can achieve it. The Little Free Library was started as a way to get communities reading. The premise is quite simple. A Library box is set up in an easily accessible place within the community. Readers then take a book of their choosing and leave one behind. There's no library cards or registration. The only rule is that you must leave a book if you take one. Here are 4 reasons why I love my local Little Free Library. 1. It takes away the guilt of bringing home more books. I'm sure many of you can relate to having more books than you'll ever have time to read. I always joke about my "To Be Read" pile, but I'm not exaggerating when I say that there are piles of books throughout my house that are just waiting to be read. On top of the books that I receive from publishers for review, I also find myself visiting used books stores, garage sales, trading with friends, etc. I know it is silly, but I feel guilty for bringing home even more books when I already have enough to last a lifetime. When I visit the Little Free Library, I'm forced to part with one of the books from my collection before I can take another. I don't end up with less books at the house, but I also don't end up adding more. That's a definite win in my book. 2. It forces me to get outdoors. Our Little Free Library is located in the neighborhood park. When I made my new years resolution to get more exercise, I started jogging in the park. Imagine my surprise to discover a library there! 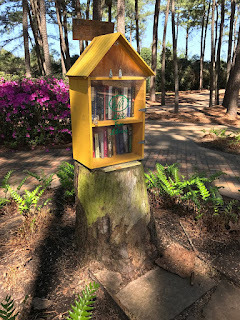 If I would have known books were in the park, I would have gone there years ago! Now I look forward to my daily jog in part because I get to see if there are any new books to read. 3. It introduces me to books I might not have otherwise read. I'll admit that I often end up reading the same kind of book over and over again. 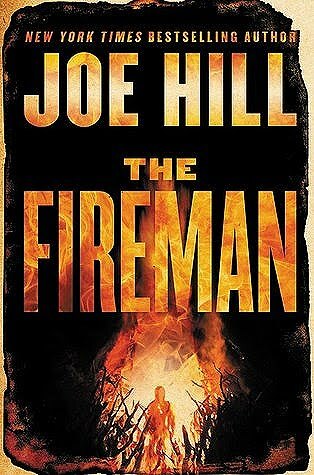 Different people put different genres of books into the library, so I find myself constantly discovering new books. 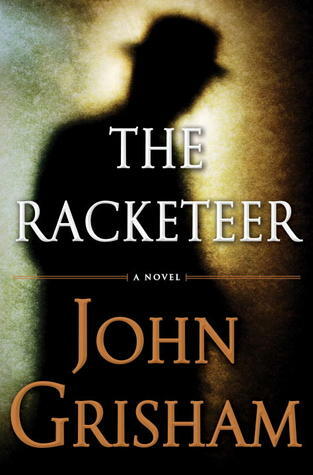 Yes, there are still plenty of mystery/thriller novels there to satiate my usual tastes, but I've also picked up some titles that I wouldn't have given any thought into reading. 4. It is a great way to interact with your community. Because the library is free to use for anyone who stumbles upon it, it attracts many different people from all walks of life. The library is maintained by a group of neighborhood members called, The Bibliophile Guardians, but the people who use it are truly the ones who make it flourish. Books have become a point of discussion as I meet people at the library. We talk about the books that we've read and inevitably end up talking about other things as well. All in all, it is not a bad way to meet new people in your area. There you have it, 4 reasons why I love having a Little Free Library in my neighborhood. For more information about this initiative and to check your area for nearby libraries, visit the Little Free Library Website. I hope that you'll be inspired to seek out one of these fantastic libraries and start sharing your love of books with your community! As a twenty-six-year-old man with no children, I'm always a bit hesitant to review children's books. That being said, books occasionally end up on my desk that are either too creative or important to pass up. That is exactly the case with Touch the Earth. 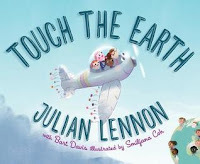 Written by Julian Lennon with the assistance of Bart Davis and illustrator Smiljana Coh, Touch the Earth combines interactive storytelling with an educational and vitally important message that kids, parents, and everyone in between will appreciate. With a physical shake and a bit of imagination, the book is transformed into the White Feather Flyer. This magical vehicle is equipped with a compass, buttons, and other gadgets that aide in our adventure across the globe. In each place that we land, we learn of the natural resources that are vital to the lives of the people who live there. From the depths of a polluted ocean to the searing heat of a desert in need of irrigation, the book provides a fun and interactive look at the world we live in. Julian Lennon, son of the famed Beatle John, along with Bart Davis take readers on a journey that is as educational as it is entertaining. Smiljana Coh's vibrant illustrations showcase the beauty that can be found throughout the Earth. The interactive elements that allow readers to steer the aircraft, irrigate land, clean litter, and control the environment is a unique feature that will surely add to the re-readability of this story. The end of the book features a poem by Lennon as well as information about his charity The White Feather Foundation. Portions from the proceeds of this book go towards that foundation. Touch the Earth is the planned start of a trilogy of books that entertain, teach a valuable lesson, and promote a worthy cause. For more information, visit The White Feather Foundation's website, Amazon, and Goodreads.